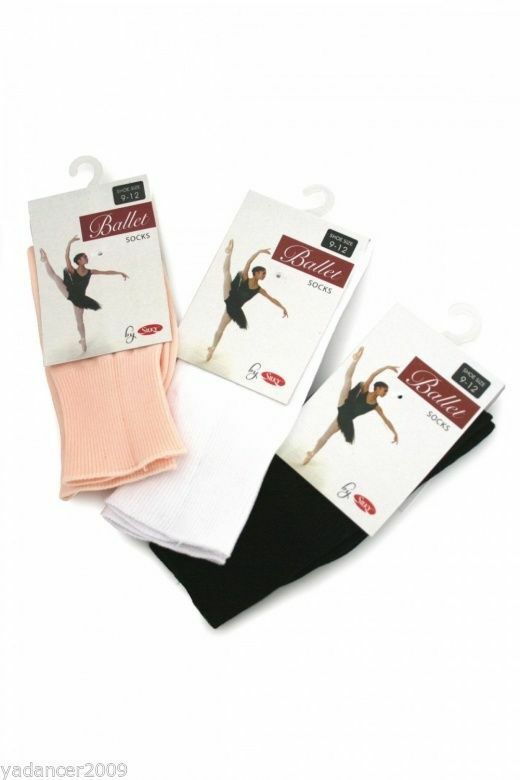 This listing is for SILKY dance socks available in Black, Pink or White. Ideal for all types of dance including ballet, tap, jazz and gymnastics, black option is ideal for wearing with jazz pants and jazz shoes. Lovely soft item features a deep rib and shaped foot. Made from 98% Polyamide and 2% Elastane. Please not that the shade of pink is ballet pink which is a peachy shade of pink. Please order your dancers normal shoe size. We have a wide range of styles of Silky shimmer and ballet tights available in adult and girls sizes please see my other items.